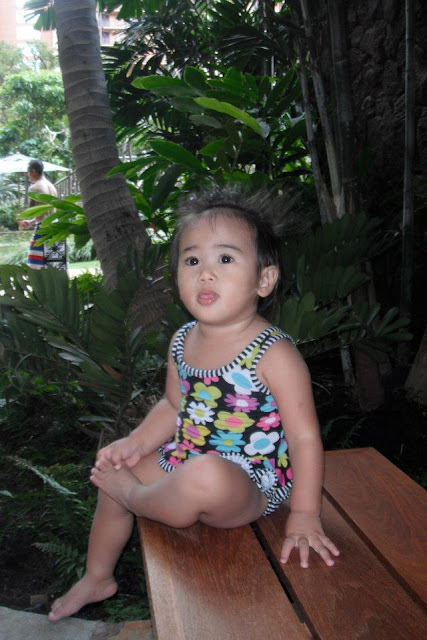 Happy Second Birthday Alohilani!!! Our Little Brightness From Heaven!!! Today was my granddaughter's second birthday so I thought I would take the time to share the history of her short but very blessed life. 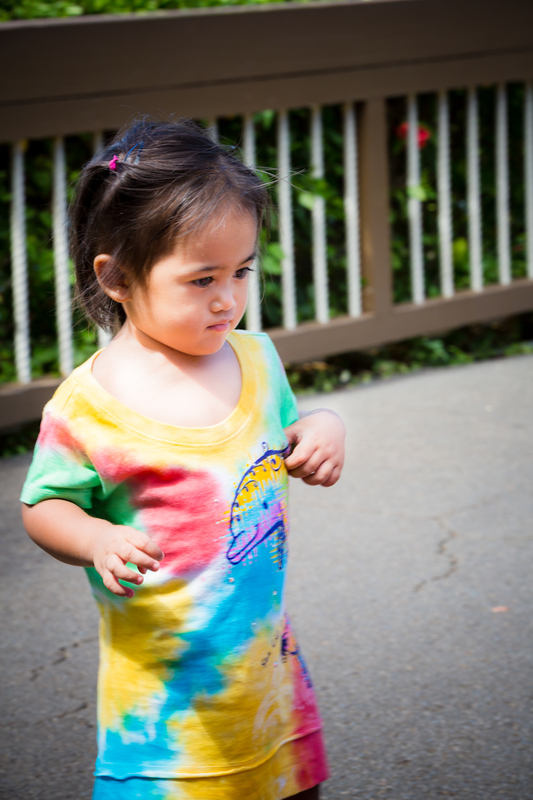 He name is Alohilani which means the brightness of heaven and I have to tell you that I have seen so much light over the past two years since my beautiful granddaughter came into this world. What a gift the Lord has given me in her. This picture was taken when my daughter in law Kellie was hapai (pregnant) with my granddaughter. The other beautiful girl in this picture is my other granddaughter Kaliko which means the the bud. She was not born my granddaughter, but I could not love her any more if she was. This was a shower that we gave for her before she was born so the whole family (ohana) could get together and shower Peter and Kellie with love, gifts and best wishes for the precious life to come!!! 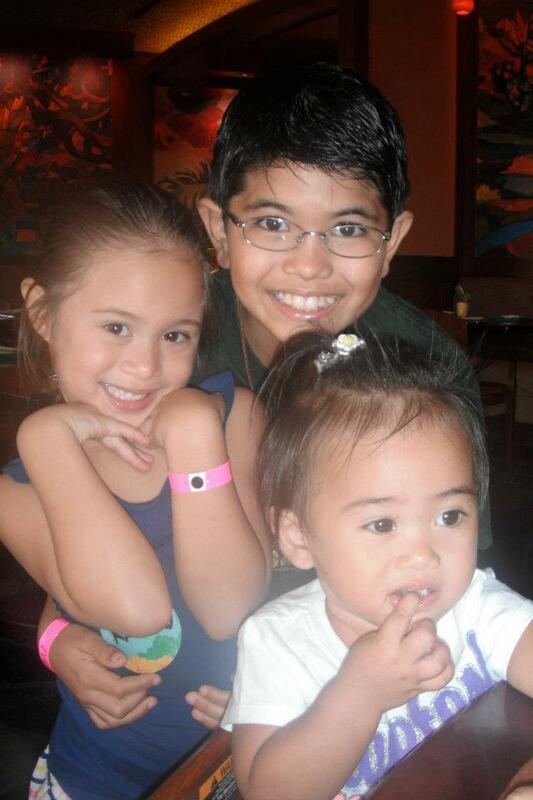 We were all waiting for our little "Brightness from Heaven" Alohilani to join our family. This picture was taken at the ultra sound center where we could see what Alohilani looked like while she was still inside of Kellie. She will probably freak out when she sees this picture as she gets older, but I was in tears as I watched her move inside Kellie's body. She was around 7 months here and fully formed and beautiful!!! What a miracle babies are. Anyone who has ever seen a baby come into the world cannot doubt God. Simply Magnificent!!!! When she came into the world on August 27, 2010 she was so tiny. I was the first one to have the honor to touch this precious sweetheart as she came into this world. I don't think she realized how many lives she has touched. My how she has changed over the past few days barely six pounds and she is a force to be reckoned with!!! Taking her home I think they didn't drive any faster then 30 miles per hour. Isn't it funny how much a little baby like this can change your life forever. She became Peter, Kellie and Kaliko's whole world. My son was just learning what it felt like to bring a new human life into this world. I think her birth changed him forever. 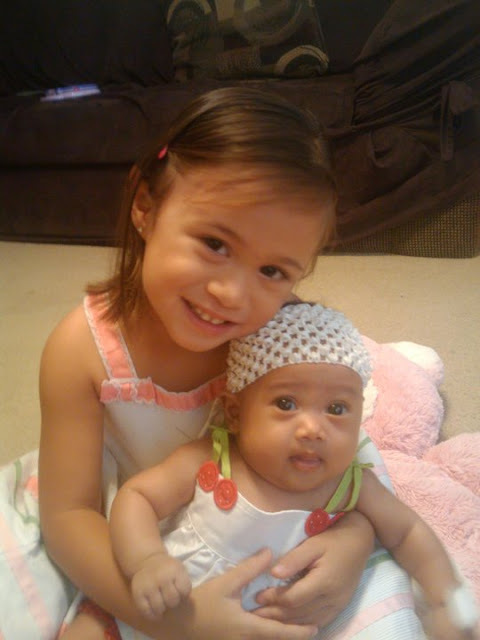 Kaliko became the best big sister that Alohilani could ask for. She is loving, gentle and very protective of her baby sister. Being a big sister is a huge responsibility and Kaliko Leio'olamaikau'lani is up for the challenge!! Alaka'i Kaleikaumaka Henry was ready to become the best cousin a little girl could ever dream of. Of course Grandma Terry couldn't resist giving this little sweetheart her very first bath. She loved the water from the very beginning. 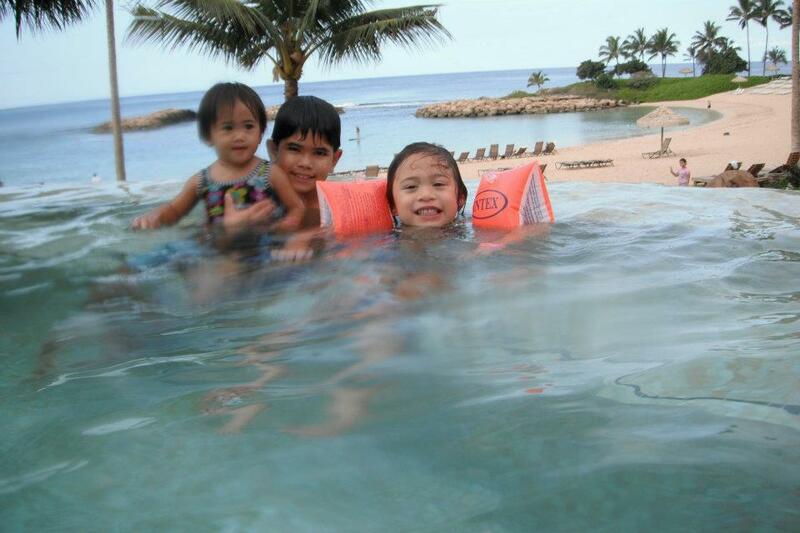 I knew that she was going to be a water baby just like all of the other Gomez children before her. She totally had her father's heart wrapped tightly around her small pink finger. There would be no turning back for him. She would hold his heart for all time. That is the thing about little girls, they light up their Daddy's life. While she was at it she charmed all of us that are at her beck and call. Cuteness like this simply cannot be denied!!! 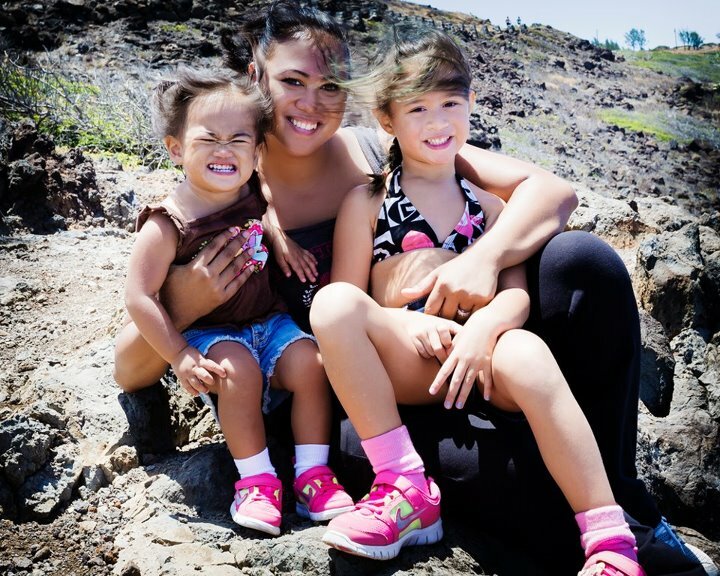 Peter's favorite girls.... Kellie, Kaliko and Alohilani. He is a lucky and blessed man. 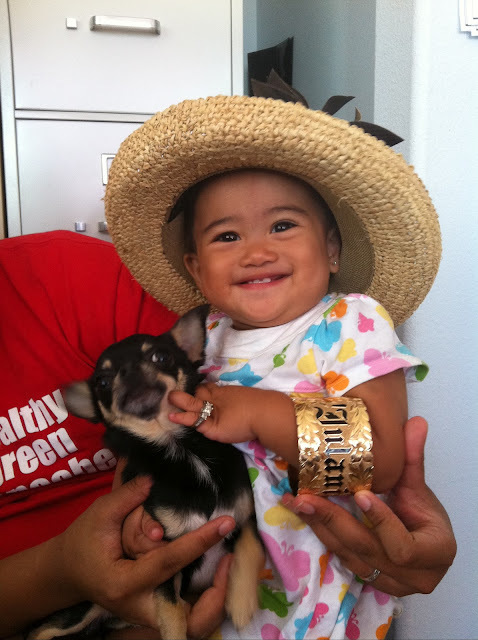 She not only favors her grandpa Peter, but she seems to have his sense of humor as she plays dress up as the typical Hawaiian Tuu Tuu Lady with her hat, Hawaiian bracelet and her little dog. Plus no Tuu Tuu (Grandma) would be complete without a BIG smile because Tuu Tuu never frowns. This was the very first baby cousin that Alaka'i ever got to hold. 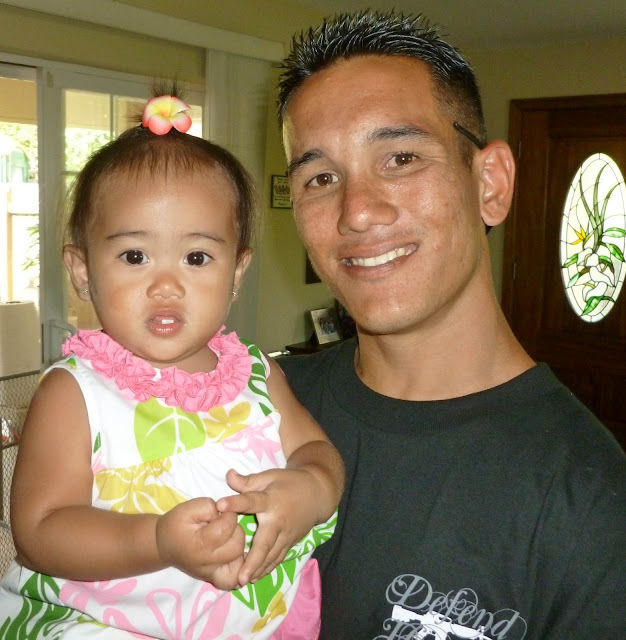 He loves his little cousin Alohilani very much and they will have much to share as they grow up together. It was Baby Lu'au time!!! One Year old is a big celebration in Hawaiian culture and Alohilani's first birthday was no exception. She was certainly up to the challenge. We had all of the family come for this very special day!!! 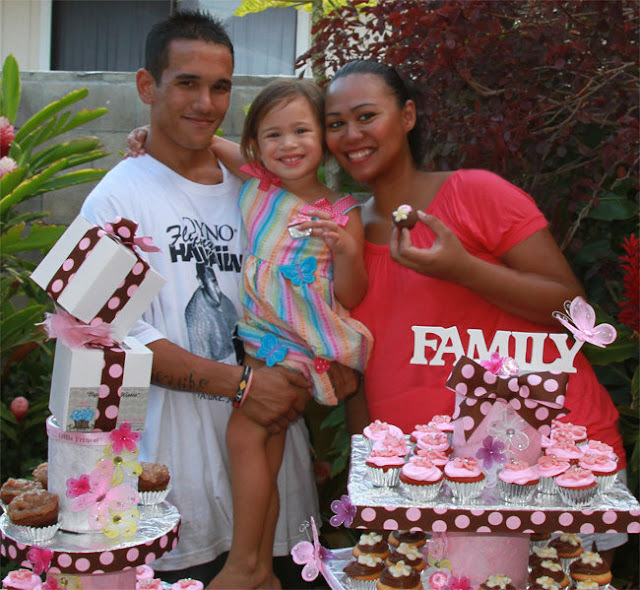 She had great food, designer cupcakes from her auntie Nicki a beautiful princess cake, face painters, popcorn, cotton candy, a princess jumper tent, live Hawaiian music from her Great Auntie Rosie and the rest of our Gomes clan from Nanakuli. 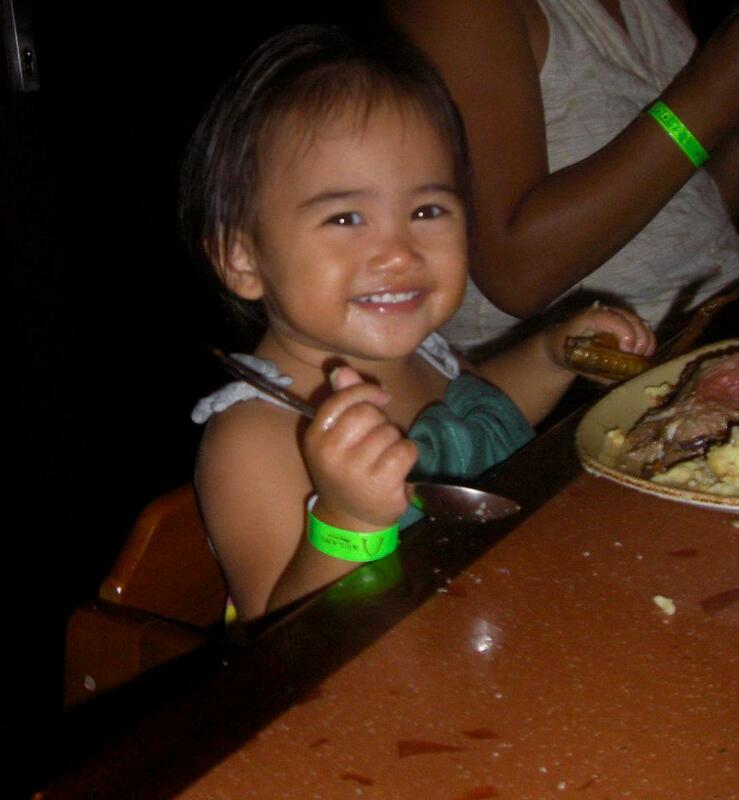 I mean what little Hawaiian girl would not be smiling at this party. Alohilani was no exception. She enjoyed her party until she fell asleep in her Grandpa's arms. 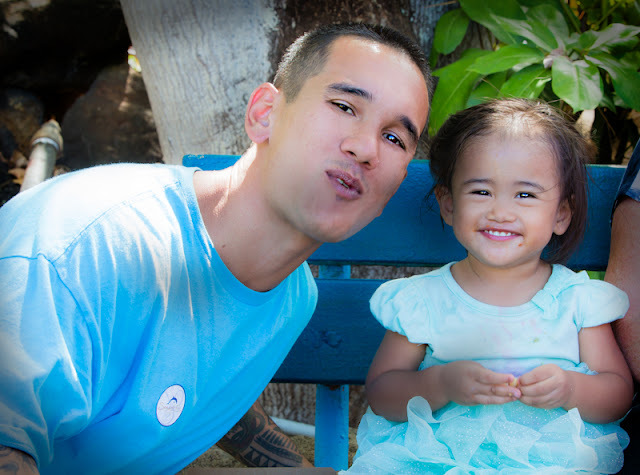 Then her second Christmas came around and Alohilani helped to pack a Christmas box to take to church for another little girl just her age to enjoy in another part of the world with Operation Christmas Child. I know that she may not have known what she was doing at this time but I think it is really important to start children early sharing what they have with others. 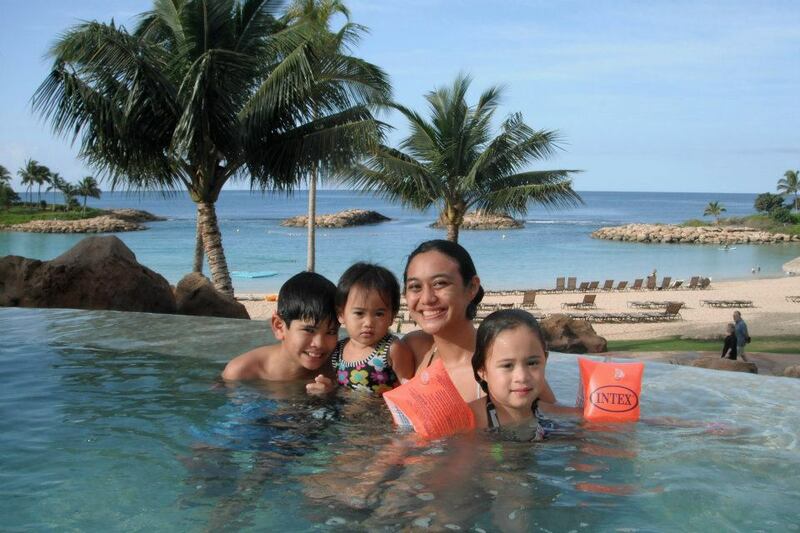 Christmas soon became a new favorite holiday for Alohilani. She still found her greatest joy to be playing with Grandma Terry's dog Buddy who she lovingly calls Ruu Ruu. As you can see by the look in Buddy's eyes he does not share her enthusiasm. Next stop the Aulani Hotel on O'ahu to celebrate Kaliko's birthday!!! 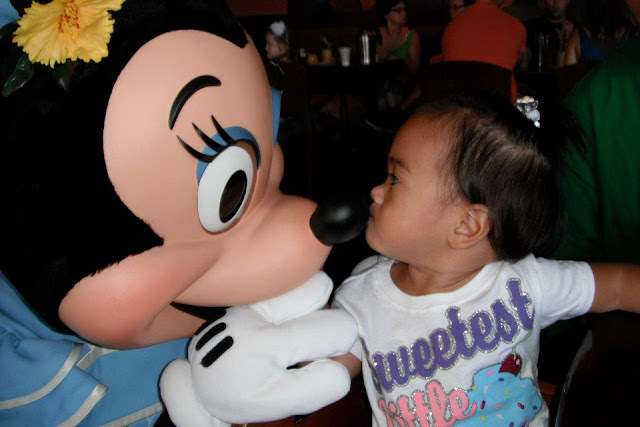 Everyone had a great time here and Alohilani found her favorite new friend Mini Mouse!!! There are so many things to consider when you are young. 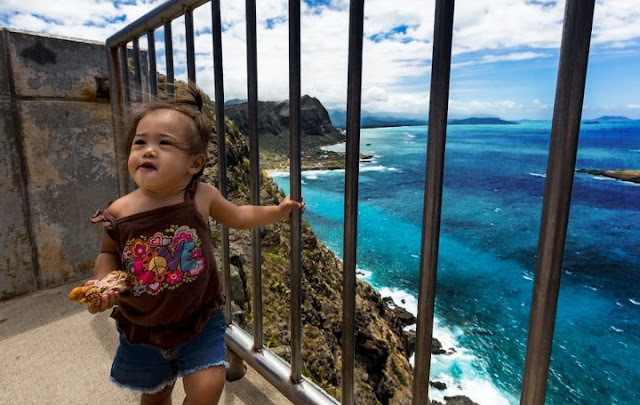 Alohilani is thinking about how she is going to spend her day and had to take the time to thank Jesus for all He has blessed her with. It can be hard sometimes when you are so precious that people smother you with all of their love and kisses. Time to hit the pool with her cousins. Does it ever get any better then this? The view from this pool is spectacular!!! 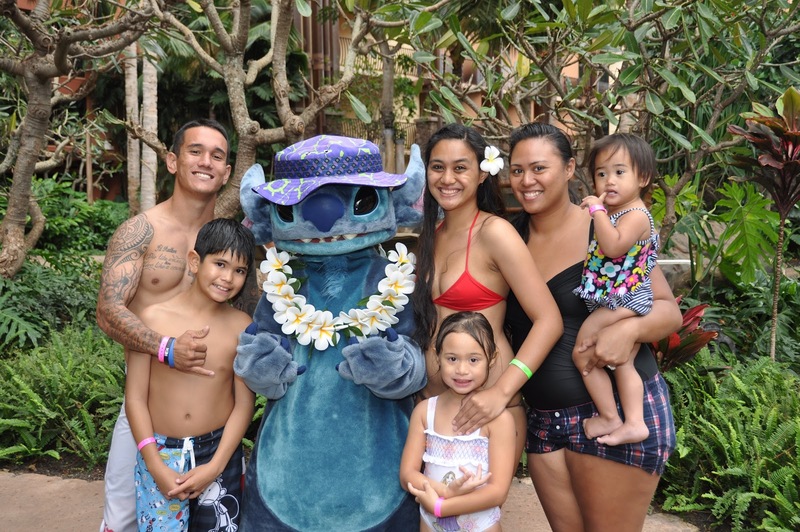 After a day of playing in the sun it is off to one of the many restaurants at the Aulani Hotel. How about my favorite mouse in the whole wide world? I just have to say that Alohilani loves Minnie Mouse! I like to call this one... My two Minnie's. Then it is time to go home and enjoy a nice hike up Makapuu!!! I am trying my best to smile for the camera!! Nothing tastes better then a good piece of fried chicken after a long hike up the mountain. Wow... I live in an amazing place!!! It is my second birthday party!!! I am having a great time at Sea Life Park!!! She just loved watching the dolphins and the only wholphin in the whole world perform on her birthday!!! After a cool soak in my Grandma's tub and a great dinner... I am ready for another Birthday cake!!! 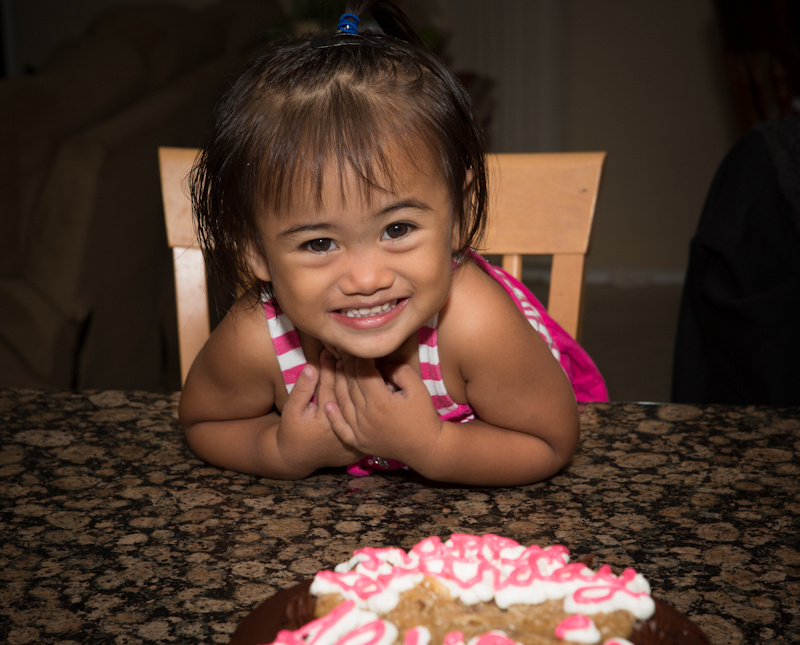 Time to blow out the candles Alohilani!!! Make a big wish and blow them out!!! 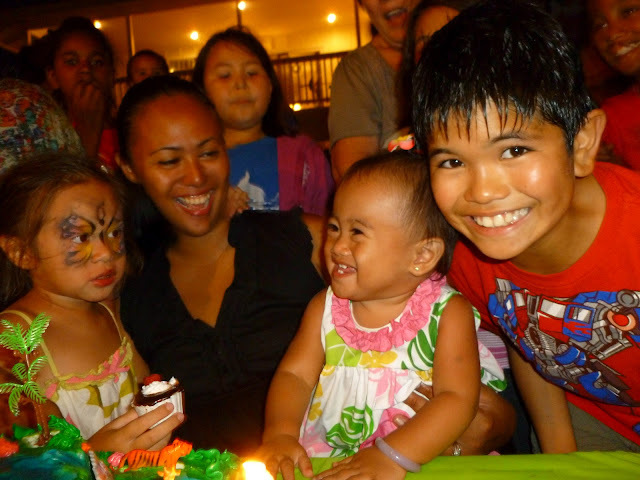 She blew every single candle out with the help of her sister Kaliko and her cousin Alaka'i. I am just sure that Jesus is going to bless this little bit of heaven that He sent down here to all of us. I just feel so blessed to be a part of this special little girls life!!!! I wish god's favor and blessings upon her now and always!!! Happy Second Birthday Alohilani Teresa Marie!!! I love you very very much forever and always!! !